Russian rolling stock manufacturer Transmashholding is developing a new generation of double-decker wagons. The new units are expected to enter service in 2020. 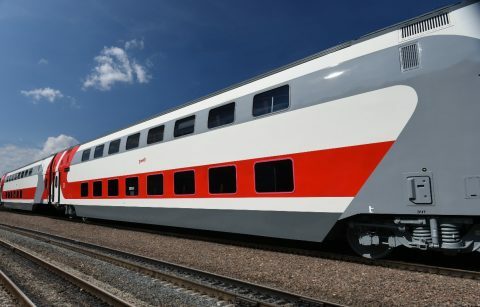 “Now, the design engineers of Transmashholding are working on upgrading the lineup of double-decker wagons which should appear on the Russian railway network in 2020,” reported the company. All units will be produced at the facilities of Tver Carriage Works (TVZ), a subsidiary of Transmashholding. 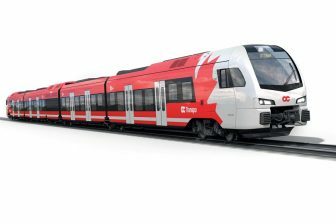 RZD’s subsidiary Federal Passenger Company plans to acquire more than 1.000 double-decker wagons of the new generation by 2025. Owing to the new units, the company expects to low its costs for transportation by 10 per cent. 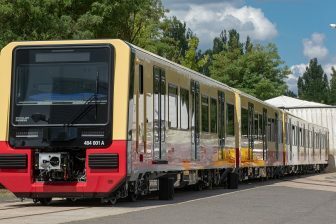 The new wagons will be more comfortable and will have three classes: a four-seat compartment, one-seat compartment and one-two-seat compartment of higher comfort with an individual toilet. Currently, Russian Railways (RZD) operates 350 double-decker wagons, being delivered by TVZ since 2013. The first double-decker train was launched five years ago on the Moscow – Adler line. Now, the double-deckers run on eight routes: from Moscow to Saint Petersburg, Adler, Kazan, Voronezh, Samara, Kislovodsk as well as from Saint Petersburg and Rostov-on-Don to Adler. The new route will be launched from Moscow to Izhevsk on December, 9. In five years, RZD’s double-decker trains carried 11.9 million passengers. Besides RZD, the double-decker trains are used by Aeroexpress, the operator of the rail link between three Moscow airports and the city. 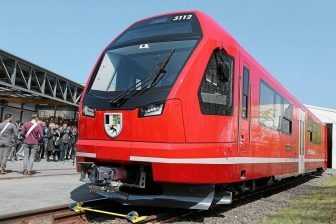 The company operates 11 electrical multiple units ESh2 Eurasia (another name – Stadler Kiss Rus) produced on Stadler’s plant in Belarus. In 2017, Aeroexpress carried 11.7 million passengers.